Plaque toothpaste is specifically designed to stop tartar from forming. Therefore, you may also see names like tartar control toothpaste. What is plaque? How does a plaque toothpaste target this substance before tartar forms on the teeth? Read on to learn more. What Is Plaque and How Does Tartar Form? Plaque is a clear, sticky substance that forms on the outside of the teeth. Given time, plaque will harden into a white or yellowish substance called tartar. Not only do plaque and tartar both lead to tooth decay, but you can’t clean tartar off your teeth by brushing and flossing at home. It will be on there until your next professional cleaning at the dentist’s office. Therefore, plaque removal techniques are a vital part of oral care. How Does Toothpaste Eliminate Plaque? A good plaque toothpaste will contain surfactants and gentle abrasive agents along with cleaning power. These ingredients help to remove sticky plaque deposits from teeth and perhaps even some early forming tartar. It is especially important to brush along the gumline because plaque can actually irritate the gums leading to conditions such as gingivitis (gum inflammation) and periodontitis (infection of the gums). As gum disease can affect children as well as adults, it is important to brush regularly regardless of age. 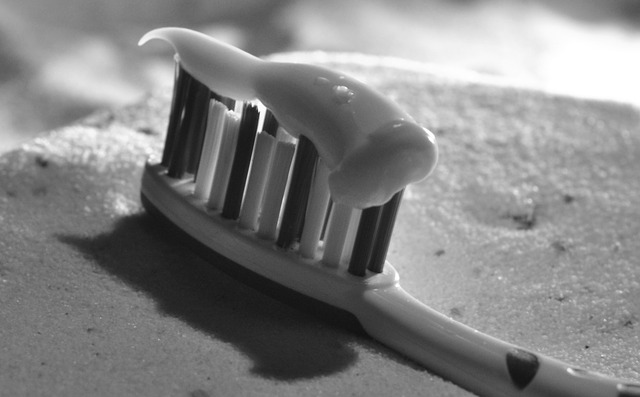 How Often Should I Use Plaque Toothpaste? The ideal is to brush after every meal. However, brushing at least twice a day is vital. This will keep the plaque from having time to harden. Of course, you have to brush properly or not all of the plaque will be removed, and it will then have more time to turn into tartar. Therefore, be sure to brush the gumline at a 45-degree angle, and brush for 2 full minutes to give yourself enough time to clear all of the plaque from the front, back, and top surfaces of each tooth using a circular motion. Along with a good plaque toothpaste, you want to be sure to use a quality toothbrush that has not been worn out. Change your brush every 3 months at the latest. Also, flossing can help get to plaque that is below the gumline and will be missed by a toothbrush. Finally, even the best home oral care is not a substitute for regular professional cleanings. So be sure to see your dentist at least every 6 months to get a checkup and to have your teeth cleaned thoroughly.